Stretching over 9.7 km (6 mi) of pristine south Maui coastline, Kihei is the island's driest and sunniest region, making it a perfect location for water activities and beach leisure. Explore Kihei's surroundings by going to Lahaina (Lahaina Banyan Court, Lahaina Jodo Mission, & more). Next up on the itinerary: meet the residents at Maui Ocean Center, stroll through Ho'okipa Beach Park, admire all the interesting features of Maui Tropical Plantation, and immerse yourself in nature at Iao Valley. 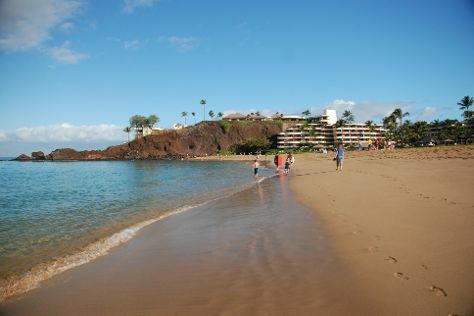 Find out how to plan Kihei trip without stress by asking Inspirock to help create an itinerary. Seattle to Kihei is an approximately 8.5-hour flight. You can also do a combination of train and flight. The time zone changes from Pacific Standard Time (PST) to Hawaii Standard Time (HST), which is usually a -2 hour difference. Plan for warmer temperatures traveling from Seattle in April, with highs in Kihei at 85°F and lows at 68°F. Wrap up your sightseeing on the 6th (Wed) to allow time to drive to Hana. Hana is one of the most isolated communities in Hawaii, with a permanent population of just over 1,000 people. Start off your visit on the 7th (Thu): cruise along Hana Highway - Road to Hana. Keep things going the next day: take in the exciting artwork at Hana Coast Gallery, then contemplate in the serene atmosphere at Kahanu Garden, then shop like a local with Laura Mango Art Gallery, and finally take your sightseeing to a higher altitude at Haleakala Crater. For more things to do, traveler tips, and tourist information, refer to the Hana trip planner. You can drive from Kihei to Hana in 2 hours. Alternatively, you can do a combination of bus and flight. In April, daily temperatures in Hana can reach 85°F, while at night they dip to 68°F. On the 9th (Sat), you're off tohome.